Vodafone, the world's second largest carrier, made a claim on Friday that government agencies are using secret wires to tap its network in many of the 29 countries where it offers wireless service. The mobile operator published a 20 page booklet called "Law Enforcement Disclosure." The document reveals that Vodafone believes that government agencies are using direct wires to record conversations taking place over the carrier's pipeline. In addition, the location of its customers is being tracked. According to Vodafone, in many cases the government is allowed to do this without asking for a court order. In six countries where Vodafone operates, tapping calls is a legal requirement. 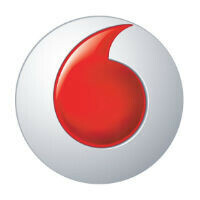 Vodafone won't name the six for fear of retaliation by the governments in those countries. In Albania, Egypt, Hungary, India, Malta, Qatar, Romania, South Africa and Turkey, it is against the law to disclose any information related to wiretapping or the interception of calls. International human rights laws give Vodafone customers the right to privacy. But the carrier says that it has to follow the laws in every country where it operates, which means giving away customer information to law enforcement officials. Vodafone says,"Refusal to comply with a country's laws is not an option." The mobile operator also says that it published its twenty page report in order to spark debate on government surveillance systems. The report will be updated annually, according to Vodafone. Where are the people bashing NSA and US government? This sh*t is happening everywhere... Btw I'm not American. There are not Snowdens everywhere. "Where are the people bashing NSA and US government? This sh*t is happening everywhere..." Because in large part, it is happening everywhere based on the US and NSA making it happen everywhere. This is not entirely true, as the UK and US cover somewhat different global influence/control regions, but as express77 pointed out, the UK has had no Snowden, perhaps because people have been crushed by the tyranny of "royals" there for many centuries. So the similar things that the UK has done have not been brought into the limelight. Government of every countries wants to make the people their puppets I believe. USA has been known already. Others will follow soon. Yeah others will follow... get out of here with that nonsense. They are ALL doing it and have been. I don't really care about the snooping as long as national threats can be averted. I know im not a threat, thats why i said it doesnt matter. Besides, my country has faced huge terror threats coz of not monitoring phones and communications. So i support this. That's as absurd as putting a police cctv camera in your bedroom and saying 'as long as i've got nothing to hide and it makes the world safer, I'm okay with it'.